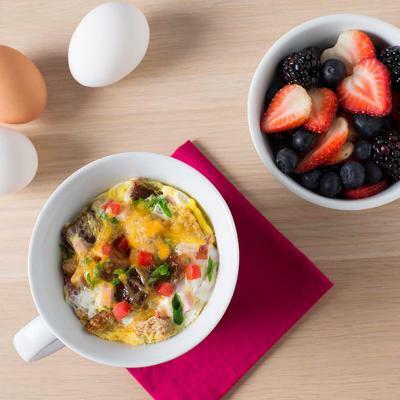 The microwave can be your best friend in the kitchen, especially during the morning rush. 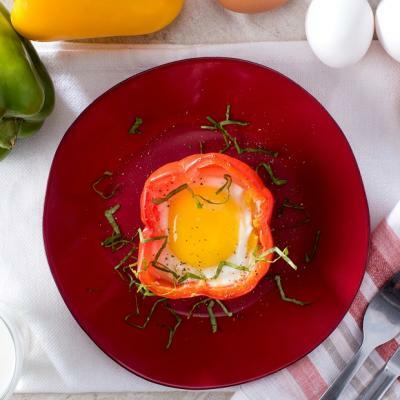 Next time you’re in a hurry, try one of these family-friendly microwave egg recipes. You’ll be surprised at how fast (and delicious) the results can be. 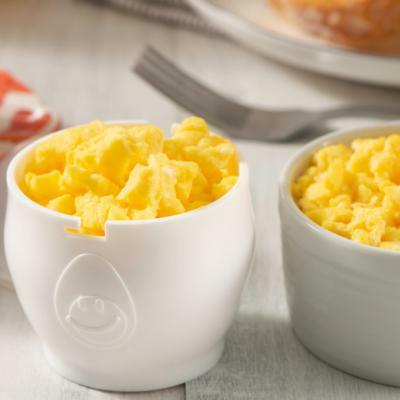 Spray a small microwave-safe custard cup or mug with cooking spray and sprinkle a few grains of salt on the bottom (salt attracts microwave energy and helps to cook the egg more evenly). Break an egg into the container and pierce the yolk and the white with a fork four or five times. Cover the bowl with plastic wrap, leaving a small area for venting. To make a hard boiled egg, microwave on high (100% power) for 40 seconds and let stand for 30 seconds before removing the plastic wrap. If it seems undercooked, turn the egg over in the container, cover and microwave for another 10 seconds, or until cooked as desired. For soft boiled eggs, microwave on high (100% power) for 30 seconds, or on Medium (50% power for 50 seconds). Let stand for 30 seconds before removing plastic wrap. If still undercooked, turn egg over in container, cover and microwave for another 10 seconds, or until cooked as desired. Scrambled eggs are great plain, or in a wrap with your choice of fillings like this Kale and Egg Wrap. Spray the inside of a microwave-safe small bowl with cooking spray and crack two eggs into the bowl. Add two tablespoons of milk and whisk with a fork. Cover with plastic wrap, leaving a small area for venting. Microwave on medium-high (70% power) for 1 minute and 30 seconds to 1 minute and 45 seconds, stirring several times during cooking. This is one of the quickest hot breakfasts ever to grace a Canadian kitchen. Older kids can manage this one very easily too. Start your toast first. Spray the inside of a microwave-safe small bowl with cooking spray and crack one egg in it. Whisk with a fork. Microwave on full power for about a minute and a half. Slide onto hot buttered toast when cooked. Order Your Very Own Egg Cooker Today! Complete your order through PayPal. Upon order completion, you will receive an order confirmation number via email from PayPal. 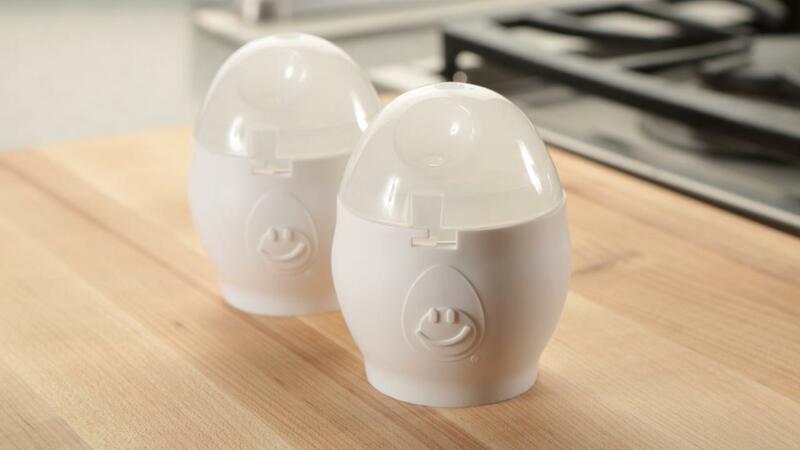 Once your egg cooker is shipped, a tracking number will be emailed several days later by Dare Marketing, our warehouse, so you can track your order with Canada Post. *Shipping and handling fee of $5.99 (taxes incl.) applies to each order. Offer available to Canadian residents only and only while supplies last. Offer void where prohibited by law. Please allow 8–10 weeks for delivery. Egg cookers may not be exactly as shown.